The sequel drops the heroine into a different era. As the title suggests, the movie we used to call WONDER WOMAN 2 takes place in 1984. Wonder Woman will have to face off against the Soviet Union and at least one new villain — maybe two — as she fights her way through the only era more perilous than a World War: the 1980s. When the first movie became a massive success, a sequel was almost inevitable. WONDER WOMAN 1984 opens in the United States on June 5, 2020. That’s nearly the same date, three years later, as the first WONDER WOMAN, which hit the U.S. on June 2, 2017. If you look for the WW84 release date online, you might see some conflicting information. That’s because the film was once set to hit theatres on December 13, 2019. Then, it moved up six weeks, to November 1, 2019. 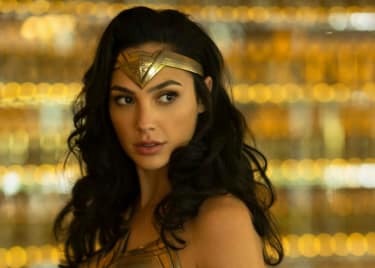 Finally, Warner Bros. pushed the movie back to June 5, 2020 — and both star Gal Gadot and director Patty Jenkins seem happy about that choice. There is no WONDER WOMAN 1984 trailer yet! There are a great many fake WONDER WOMAN 2 trailers on YouTube, but Warner Bros. and DC have not released any official teaser or full-length trailers. OK, so here’s where things get tricky. First up, we know that Kristen Wiig plays Barbara Ann Minerva (above), a British archaeologist who gets more than she bargained for while digging through the lost city of Urzkartaga. Specifically, she’s possessed by a goddess and becomes Cheetah. But wait! That might not be all. Rumors say that Minerva is working for someone else, and that person might have set her on the path to Urzkartaga. Since Warner Bros. hasn’t released any official info yet, we’ll stay mum on who this person is — we don’t want to give you the wrong idea about the film — but there’s a very good chance Cheetah isn’t the only villain Wonder Woman will have to face. There are a few versions of Cheetah in the comics. The character was first created in 1943 but has been changed many times. Several women have adopted the name in various comic book stories. But the story of Barbara Ann Minerva as we think it will play out in WONDER WOMAN 1984 seems pretty close to her comic book incarnation of the character. The most important thing to know is that, in the comics, there’s an … incompatibility with the goddess that possesses Minerva and who she becomes. She’s more ruthless than she might otherwise be as a result. In the comics, Cheetah, still an archaeologist at heart, is interested in some of Wonder Woman’s possessions, like her lasso. Whether that will be true on screen remains to be seen. Is Chris Pine’s Character Alive? He is! This isn’t a secret, as Patty Jenkins released an image of him in the movie. The question is: How is Chris Pine’s WONDER WOMAN character alive? He died at the end of the 2017 movie, and we have no idea how a mere mortal man, even one as good looking as Steve Trevor, can conquer death. Are we looking at the son of the original character? That’s possible, but that’s not the suggestion in that tweet from Jenkins. No matter what the story is, the truth of Steve Trevor’s return in WONDER WOMAN 1984 is one of the things we’re most eager to learn from the movie. And since this photo clearly has Steve Trevor in a mall, we wonder if there’s any connection between whatever scene it suggests and the mall-based action scene shown at Comic-Con last year. Does Wonder Woman 1984 Connect to the DCEU? Well, yes and no. Yes, because it features Wonder Woman. But for the most part, no, because WONDER WOMAN 1984 is basically a standalone story that won’t impact the broad scope of DC movies. Warner Bros. changed its strategy somewhat so that all of the DC movies do not have to be tightly connected, allowing filmmakers to tell their own stories. Very little official info has been released about the story of WONDER WOMAN 1984. We know the Cold War and the Soviet Union factor in, as does Cheetah. But there probably won’t be outright combat with the Soviets, which means Wonder Woman is getting into the espionage game, which could build on her actions from the first movie and send her into some all-new situations. At Comic-Con, director Patty Jenkins, who worked on the story with Geoff Johns and Dave Callaham, explained why the film is set in 1984. We know that Hans Zimmer is returning to score the film, which began shooting in June 2018 and wrapped in December. For one more piece of the story puzzle, let’s look at the cast. 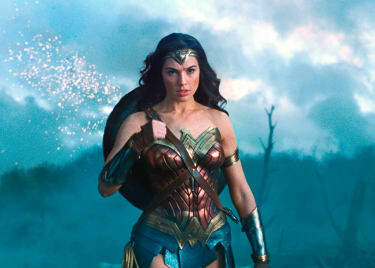 First and foremost, Gal Gadot returns as Wonder Woman, known in her regular life as Diana Prince. As a demigod and Amazonian princess — the daughter of Hippolyta, the Queen of Themyscira, and Zeus — she’s basically immortal. Diana fights for those who cannot fight for themselves and is able to go toe to toe with some of the most powerful beings in the universe. We last saw Wonder Woman in JUSTICE LEAGUE. And, yes, Chris Pine seems to be back as Captain Steve Trevor. He is (or was) an American pilot who sacrificed himself to save others at the end of WONDER WOMAN. And as we mentioned, Kristen Wiig plays British archaeologist Barbara Ann Minerva, who becomes Cheetah. Also appearing are Connie Nielsen as Hippolyta, Queen of Themyscira (probably in a flashback), and Robin Wright as General Antiope. There’s a rumor that the original television Wonder Woman, Lynda Carter, might make a cameo as well. 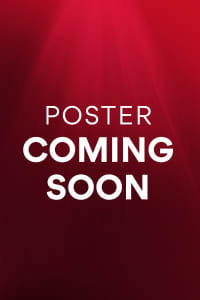 Check back with AMC® for more info on WONDER WOMAN 1984!